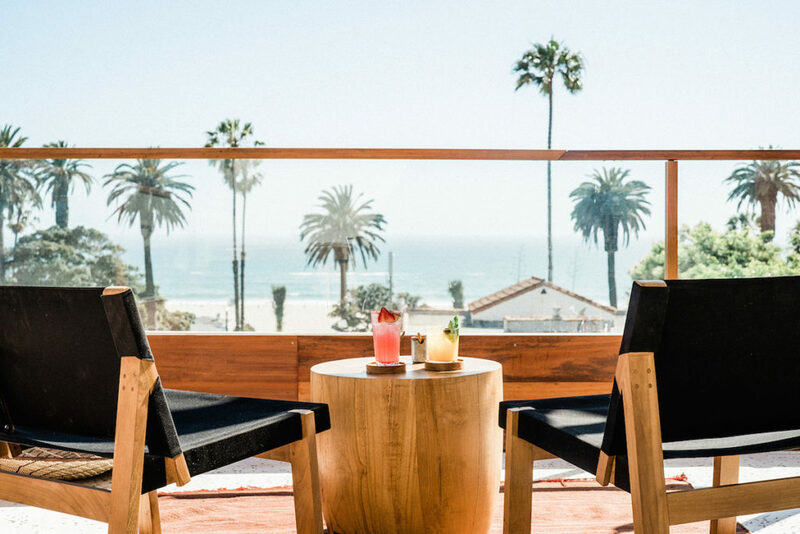 Meet our new fave Santa Monica summer rooftop. 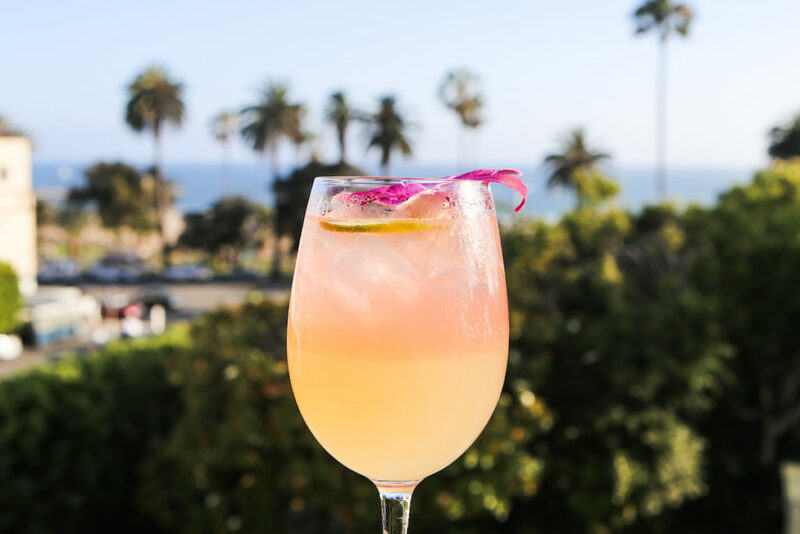 Doubling as a chic bar and restaurant with beachfront views, Elephante screams sultry summer, and we were right in the mix to preview famed restaurateur Nick Mather’s latest venture during the sneak peak of the hotspot Wednesday. After heading to the bar to grab Mezcal-infused Basta Basta cocktails and fuschia flower-topped Paradiso drinks whipped up with citrus and cucumber (our faves on the cocktail list), we strolled straight out to the patio, leaned against the blonde wooden railing, and took in the sunset. 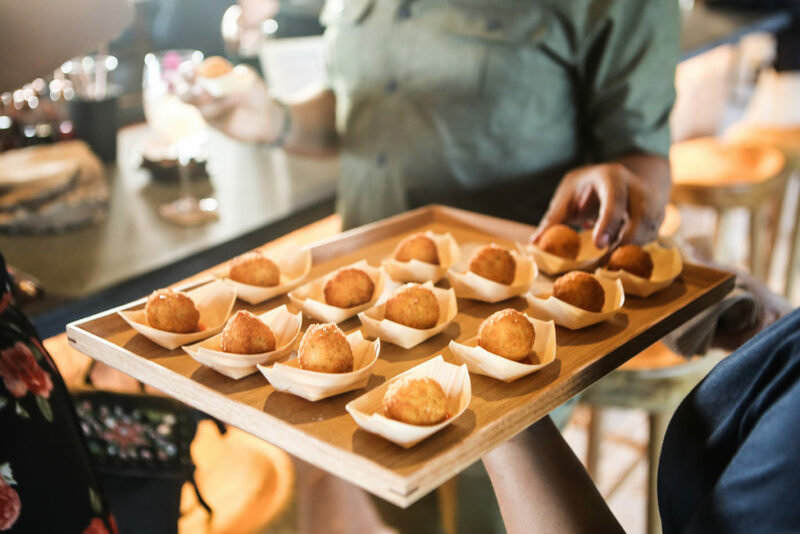 As we mingled with friends, we munched on addicting arancini balls, crispy artichokes, and sauteed and skewered tiger shrimp from the selection of small bites that were passed around on trays. It was blissful. So much so that we stuck around for hours, kicking back by the dining room fireplace as the rainbow colored sky turned black. 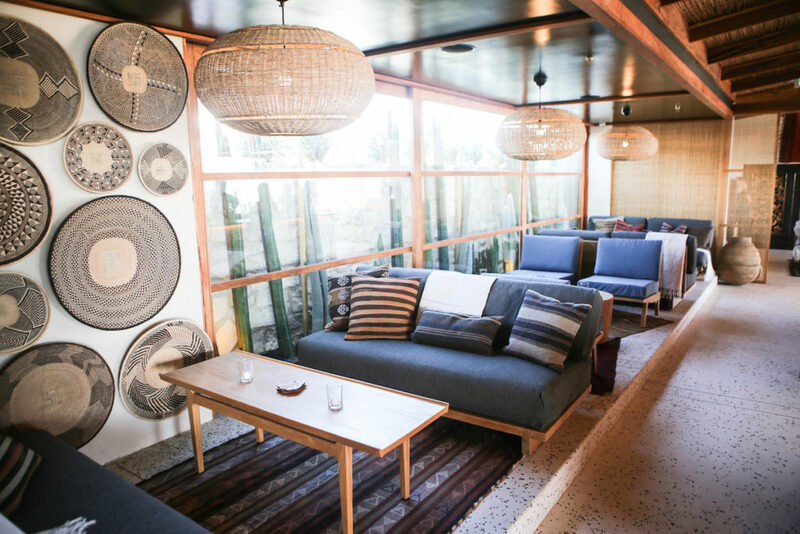 While the patio and views are one of our favorite things about the highly curated space, we fell in love with the decor all over the restaurant, which was inspired by Mather’s travels to Southern Italy, Bali, and Africa. 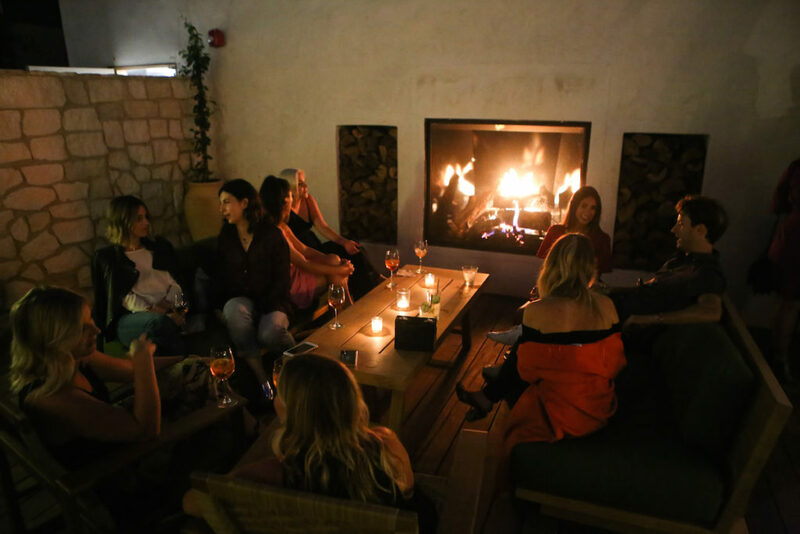 From Tigerwood floors to limestone walls surrounding the outdoor fireplace, and hand woven plates stacked on a wall over a lounge area, every detail gave it a global flavor that made us feel like we were far away from the City of Angels…and comfortably at home. 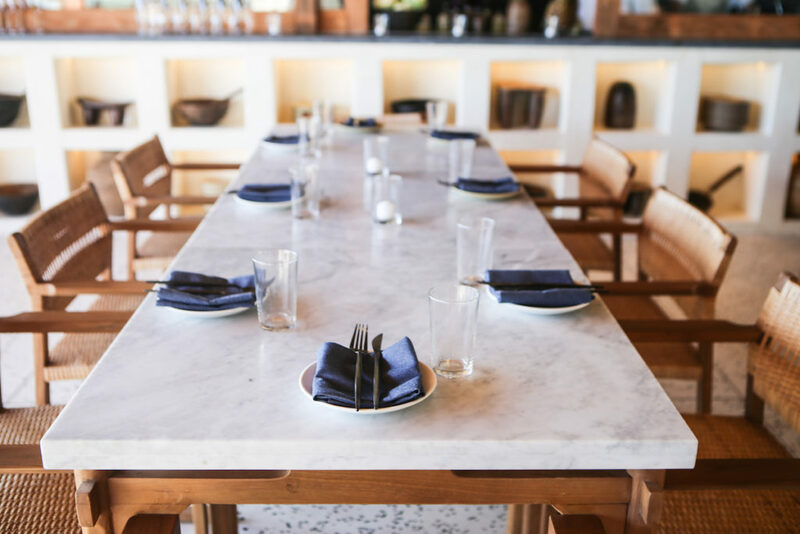 The restaurant is so versatile that guests can wine and dine at a table, hang out at the bar and enjoy the sunset, or kick back on one of the plush couches and enjoy small bites and Italian wines with friends. Elephante officially opens its doors July 10. When it does, don’t miss it. (The full menu is under wraps for now, but you can get a taste for what Elephante will be serving up on its Instagram page). While you’re on Instagram, take a peek at what else we’ve been up to!